HMD Global will be holding a media event on Feb. 24 at the Mobile World Congress (MWC) 2019. There are couple of handsets that the Finnish is rumored to announce such as Nokia 9 PureView, Nokia 8.1 Plus, Nokia 6.2 (2019), Nokia 1 Plus and more. The Nokia 6.2 (2019) is expected to break cover as the first smartphone from the manufacturer with punch-hole display. 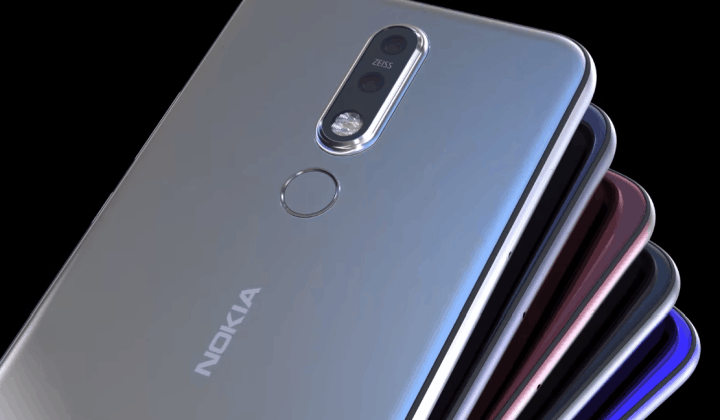 A concept video of the Nokia 6.2 (2019) has been shared by Concept Creator based on the rumors surrounding it. The video begins by showing the marvelous punch-hole display of the upcoming Nokia 6.2 (2019) smartphone. The front camera is placed under a compact cutout at the top-left corner. This made it possible for the company to incorporate a notch-less screen of the cameraphone. The chin of the device is slightly thick, and it features the Nokia brand name. The designer has shown the glass-bodied Nokia 6.2 (2019) in multiple color features. The back display of the phone has a vertical image sensor module what is two digital camera sensors and an LED flash. It is followed by a fingerprint reader. The brand name of the company is moreover present on the rear along with Android One logo at the bottom. The designer has done a wonderful in creating realistic renders of the upcoming Nokia 6.2 (2019). The specifications of the Nokia 6.2 (2019) had leaked in the previous month. It was unveiled that it would be arriving with a 6.2-inch display that will probably carry support for full HD+ resolution. The Sd 632 chipset will be present under the hood of the product. The handset is coming to launch in 4 GB and 6 GB RAM variants. A pair of 16-megapixel ZEISS optics is expected to be introduce on the bottom of the Nokia 6.2 (2019). It is Additionally rumored to carry support for OZO Audio technology by the manufacturer. There is no information available on the internal memory and battery ability of the Nokia 6.2 (2019). The smartphone is speculated to first public appearance first in China and later on in other markets. As of this writing, there are with no details available on the price tag tag of the smartphone.